Navigation has two basic purposes. It allows us to maintain and control the orbit just as attitude determination is used for attitude control. Thus, any requirement for orbit control will ordinarily result in a corresponding requirement for navigation. We may also need navigation information to process data from the payload. Although some science missions may actually use position data (e.g., mapping of the magnetic field or particle flux density), it is usually only part of payload pointing and mapping. Irrespective of any orbit control, we often need to point an antenna or instrument at some location or to define where an instrument is looking on the surface of the Earth. Typically, this results in a more stringent navigation requirement than for purely operational purposes. Step 2. Do pointing and mapping trades. Because these are typically the most stringent requirements, we must do the pointing and mapping trades described in Sec. 5.4 to obtain a preliminary estimate of the needed accuracy. In most cases, the pointing and mapping requirement can be met by trading between navigation and attitude accuracy (see Fig. 4-6), so navigation trades will frequently need to be performed in conjunction with attitude trades. Step 3. Determine need for orbit control. At the system level, we must decide whether we need to maintain or control the oibit If we don't we may be able to save money and weight by eliminating the propulsion subsystem. But if we need a propulsion system anyway, this hardware can often easily handle orbit maintenance and control. At the same time, maintaining the orbit may significantly extend the mission life and thereby reduce the cost per year. Step 4. Do autonomous orbit control trade. If we must control the orbit then we need to determine whether to do so from the ground or autonomously on board the spacecraft Traditionally, the ground station has controlled the orbit. In most cases, this remains the best approach if the orbit control activity is nonrecurring and communications with the satellite are straightforward, as in the case of transfer to geosynchronous orbit. Here, orbit control needs are well defined, traditional ground techniques are available, and it is needed only once during the mission. Thus, an autonomous, onboard system would probably cost more than we would save from lower operations expenses. However, autonomous orbit maintenance and control can reduce life-cycle cost and risk for many missions (see Sec. 11.7.3). Over the next decade, I expect it to become as common as autonomous attitude control is on today's spacecraft. Step 5. Determine where navigation data is needed. Section 2.1.1 describes how to do a data flow analysis to determine where data comes from and where it is needed. If we choose not to design the system to minimize communications and data flow, our decision must be justifiable. For example, we may choose to avoid the nonrecuning cost of putting the processing where it would be most efficient An extreme would be a small LightSat with a single ground station which performs all of the data evaluation, system control, and mission planning. In this case, it is probably easiest to do the navigation on a small computer at the ground station. At the other extreme would be a satellite communicating with many distributed users, each of whom needs to know either the satellite position or derivative information such as the ground look-point location. In this case, the navigation data is probably needed on board the spacecraft, although we could navigate from the ground and uplink the results. The third possible use of navigation data is by the spacecraft itself for payload functions such as pointing or target selection and for real-time identification. We can also use navigation data for spacecraft control functions such as orbit maintenance, star catalog selection, or determining where the Sun is relative to the spacecraft for accurate attitude determination. Step 6. Do autonomous vs. ground-based navigation trade. We must determine whether reducing the long-term, recurring operations cost and risk justifies the cost of autonomous navigation. Tradition strongly supports ground navigation. This provides a greater level of comfort to some customers and end users who are concerned primarily that there be no deviation from prior procedures. Irrespective of technical issues, there is a level of programmatic risk associated with any nontraditional solution. The issue of autonomous navigation clearly falls in this area, although semi-autonomous navigation, such as TDRS and GPS, is gaining acceptance. A key question is whether we need real-time navigation data, either on board the satellite or for the end user. If we must provide navigation and payload data simultaneously, autonomous navigation is highly desirable. The alternative would be to navigate on the ground and uplink the solutions for use by the spacecraft or to send them to the end user. This approach makes reliable communications critical. If the work is done on the ground, then there are two possibilities. It can be done either in real time, using real-time data from the spacecraft, or it can be done using older data which is propagated forward to produce a real-time ephemeris. In the past we used older data because real-time data was not available. TDRS, GPS, GLONASS, and various autonomous navigation systems now allow us to use real-time data which does not need to be as accurate as data for propagated solutions. Step 7. Select a navigation method. Section 11.7.2 summarizes the alternative spacecraft navigation methods and their advantages and disadvantages. Step 8. Define requirements for the guidance and navigation-system. We should define the top-level requirements in terms of what is needed rather than how it is to be done. Thus, requirements should be expressed in terms of mapping, pointing, constellation maintenance, and level of autonomy rather than the specific navigation method to be used. While we will go through detailed trades to select the best navigation method, we should focus on mission objectives to define requirements. This allows later trades which may either be more detailed or use new information. There are three elements to the orbit determination problem: (1) the source and type of data, (2) the algorithms for modeling the orbit, and (3) the computer program which processes the observations. The second and third elements are well established and will be described only briefly here. I will concentrate on the alternative sources of data and the advantages and disadvantages of each in an orbit determination system. The analytical methods for orbit determination are complex but well understood. They are summarized briefly in Chap. 6 and discussed in detail in several modern reference works. Vallado , Battin , Chobotov , Escobal , Noton , and Roy  provide extensive discussions of orbit determination and orbit propagation methods. Generally, the various algorithms used for orbit determination are implemented in a small number of large and complex software systems. The major orbit determination systems are used for multiple space programs. Perhaps the most frequently used is the Goddard Trajectory Determination System, GTDS, used by NASA to process data for nearly all low-Earth orbit satellites [Long et al.,1989]. NORAD and others use a similar system for tracking spacecraft based on radar observations. 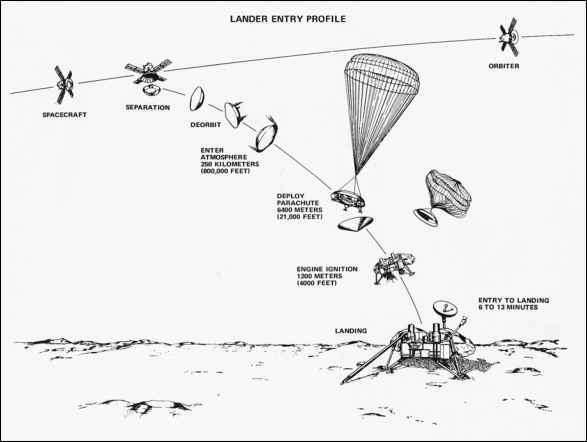 JPL's Deep Space Network (DSN) uses a unique and remarkably accurate system to track interplanetary spacecraft [Jordan, 1981; Miller etal., 1990]. It solves simultaneously for the orbits of the interplanetary probes and the planets and satellites which they approach. For many mission analysis purposes, Chap. 6 (or any book on astrodynamics) contains sufficient information to construct an elementary orbit propagator. Highly precise orbit propagators are now commercially available. The observations used for orbit determination can be obtained by tracking from the ground, tracking from space, or from autonomous or semi-autonomous systems on the spacecraft Each of these approaches is described below. Table 11-65 summarizes their relative advantages and disadvantages.